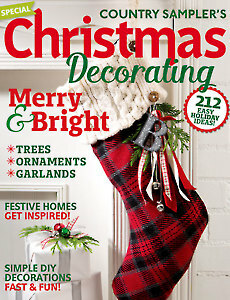 Well… it’s about that time of year, isn’t it? We’ve all had at least one good dinner, have opened a gift or two, and are now surveying the scene. And this place is a mess. 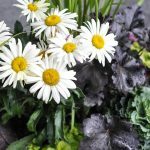 BUT – before you run out to buy stuff, consider the clutter that is around you. Could it not be repurposed? Could it not help instead of hinder? 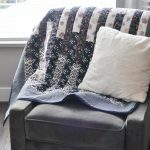 I’ve gathered up 20 projects that take objects you might already have (or can weasel off of your mother-in-law or find in a thrift shop) and can turn into organizational wonders! 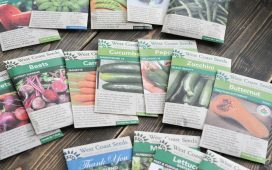 Remember that old adage: Waste not, want not? Yeah. 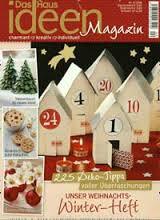 Let’s do that this year. Let’s waste less and be more fabulous. 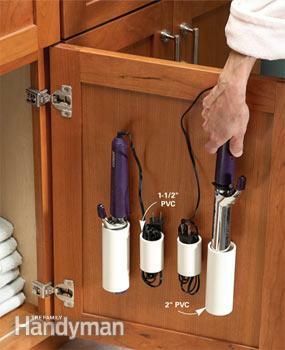 Use PVC pipe to create storage for your hot tools, as shown on The Family Handyman. 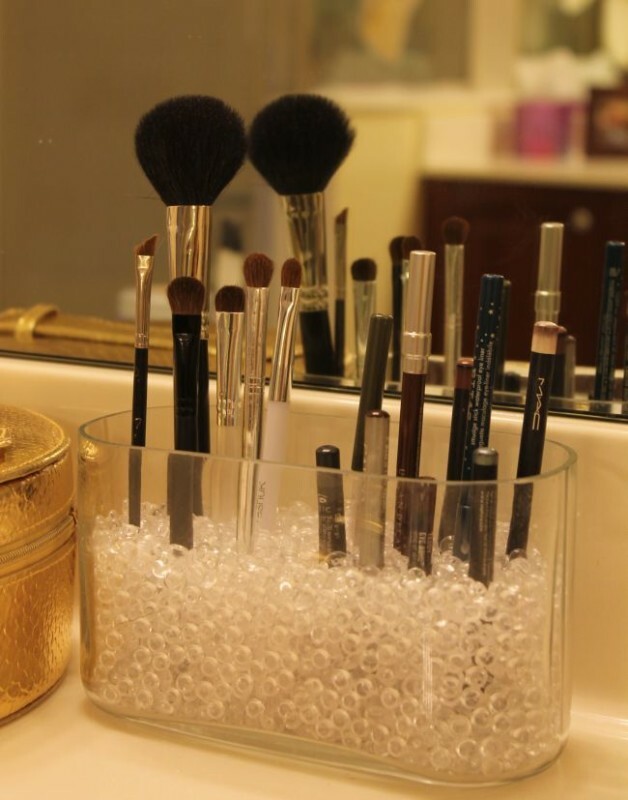 Make-up brushes should actually be stored upright, to avoid wrecking the brushes (and the good ones aren’t cheap, either). Get the tutorial from The Average Girl’s Guide. Got a spice rack hanging around? They’re all over the thrift shops, too. 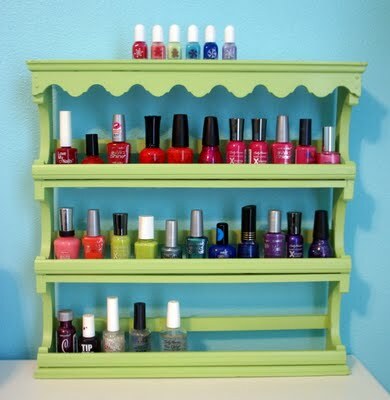 Paint it a funky colour, like The Speckled Dog did, and suddenly, your nail polishes are organized and showcased! A whole other category is jewelry. It is often chucked onto nightstands or heaped into boxes. No more! 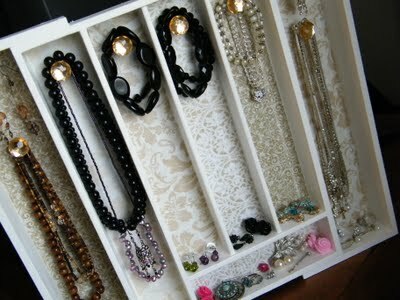 Create beautiful jewelry organizers with your “junk”! And old cutlery tray gets a makeover on Homemade By Jen. 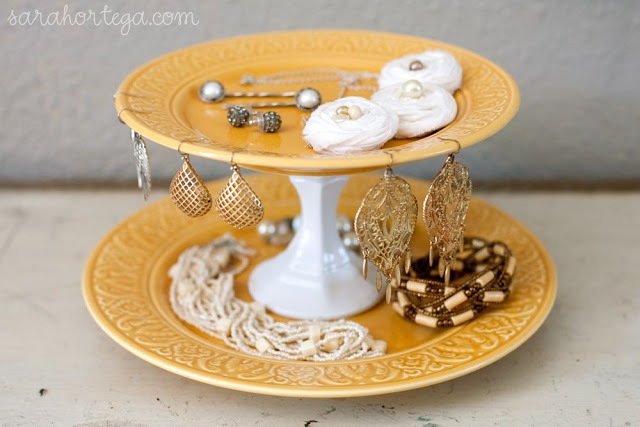 But if you have a bit of space on a dresser or a counter, how about this gorgeous cake-stand organizer, created by Sarah Ortega? 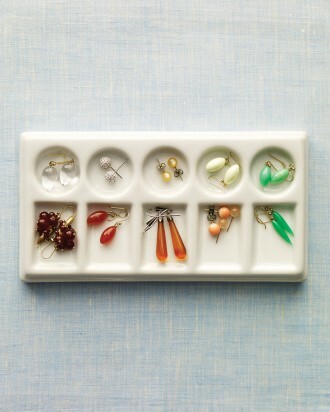 Or a paint palette can become a simple and chic earring organizer, as shown on Martha Stewart.com. 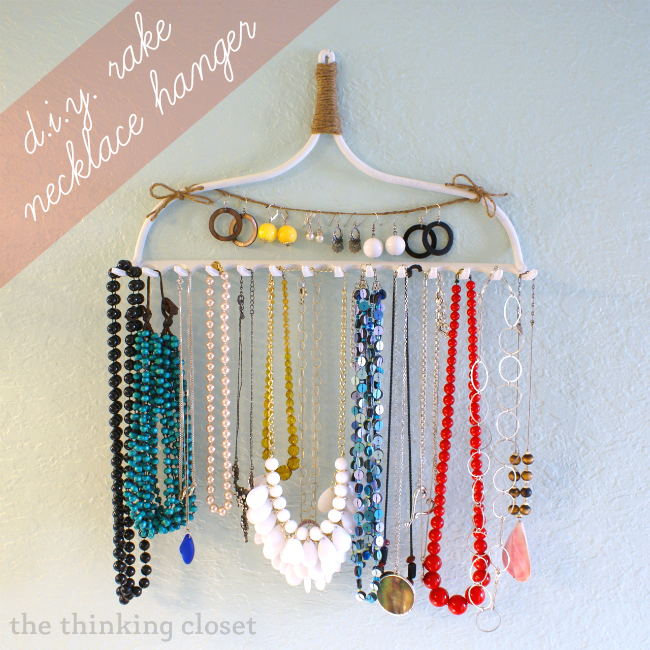 Or head out to the shed and grab an old rake – suddenly, your wall gains an art piece of a gorgeous necklace holder – as shown on The Thinking Closet. 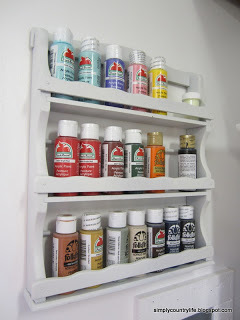 An old door gets a makeover and becomes an organizational hot-spot in this tutorial by C.R.A.F.T. 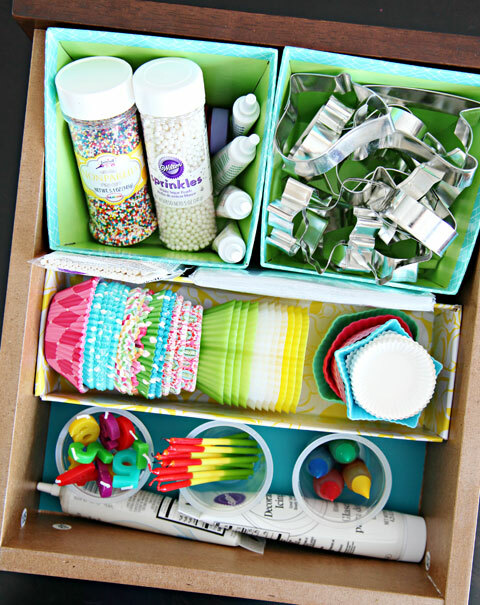 In this post at I Heart Organizing, Jen uses pudding cups and old packaging (with a tutorial to wrap old boxes and turn them into new drawer-decor) to create a super-organized drawer. 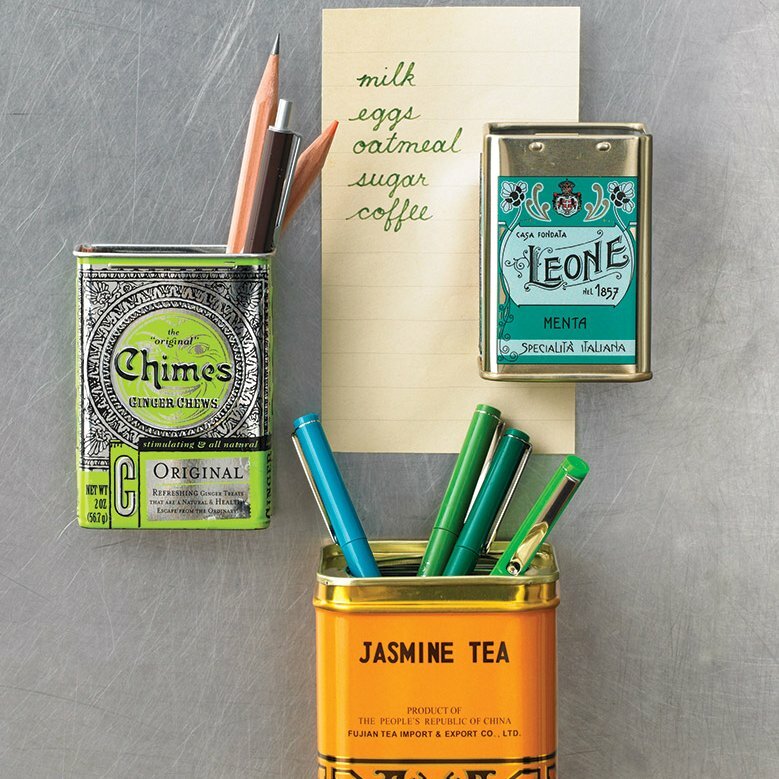 These tins aren’t just gorgeous, they’re also fridge-front organizers – as shown on Martha Stewart. 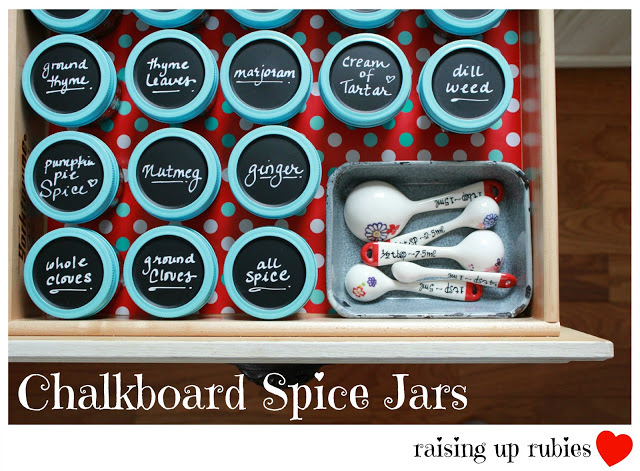 Revolutionize your spice cupboard with this tutorial for using mason jars and chalkboard paint! 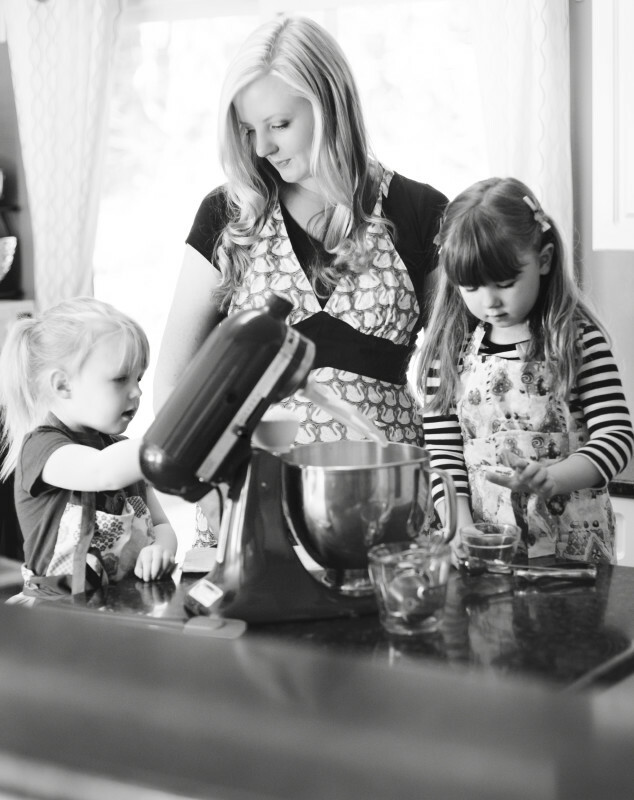 Head to Raising Up Rubies to get the details! 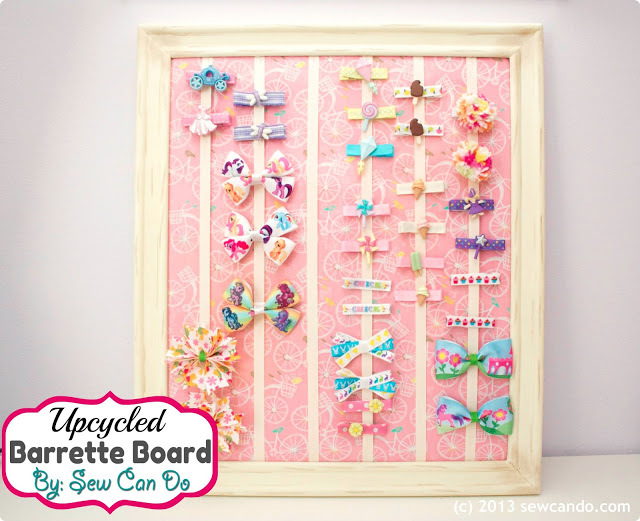 Organize barrettes and hair clips on this upcycled barrette board created by Sew Can Do. Or maybe you’re dealing with the teensiest of pieces that come along with Calico Critters (or Playmobil, or Polly Pocket, or any of those itty-bitty accessories). 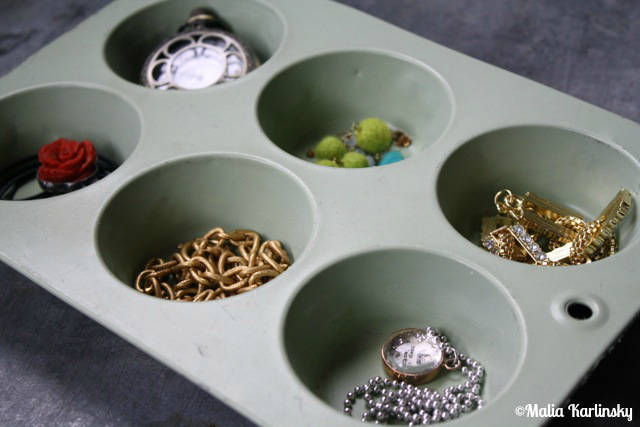 See how we solved our Calico chaos problems using an old jewelry organizer! If you’re not going to showcase your nailpolishes, why not your acrylic paints? 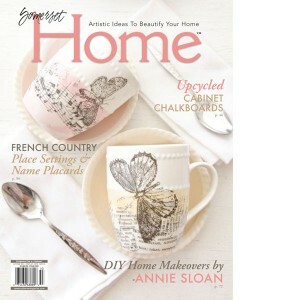 Get the details at Simply Country Life. 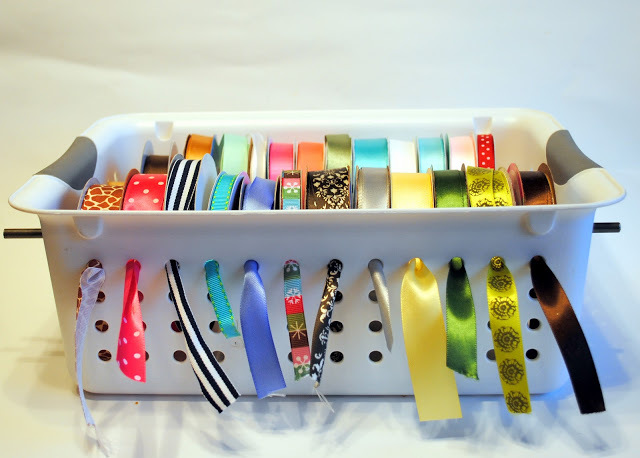 Grab that plastic basket that’s been kicking around and organize your ribbons! 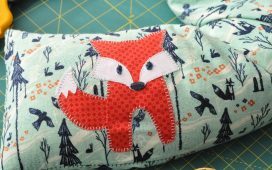 Get the tutorial at Spunky Junky. 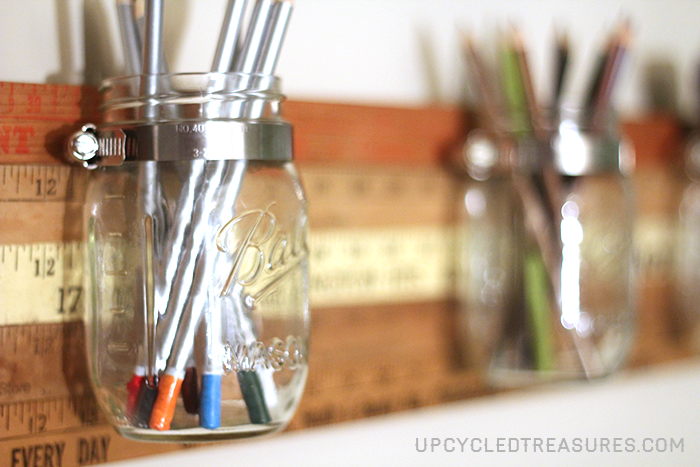 Or create your own painted mason jar organizers. 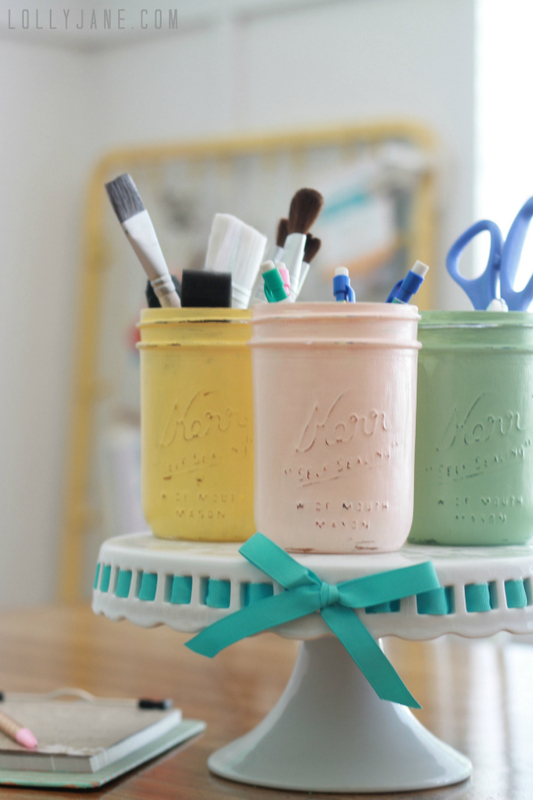 Lolly Jane tells you how, along with other craft room organizing tips. Malia, from Yesterday on Tuesday, is using this muffin tin for jewelry, but I think it would be fabulous for little crafty bits, like rhinestones, glue dots, or beads. 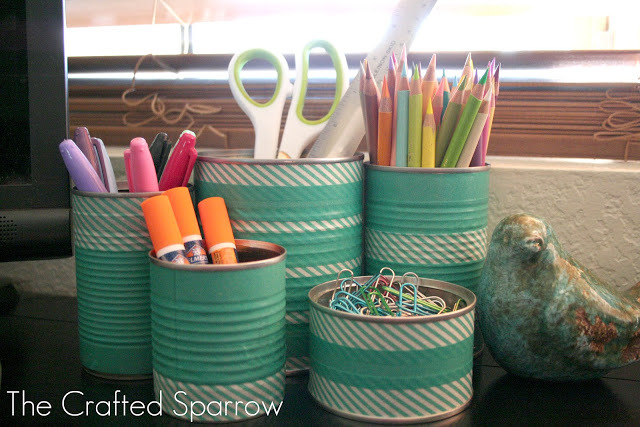 Or use washi tape to dress up tin cans, as shown here by The Crafted Sparrow! 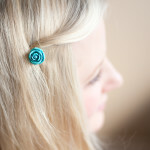 Simple and sweet! 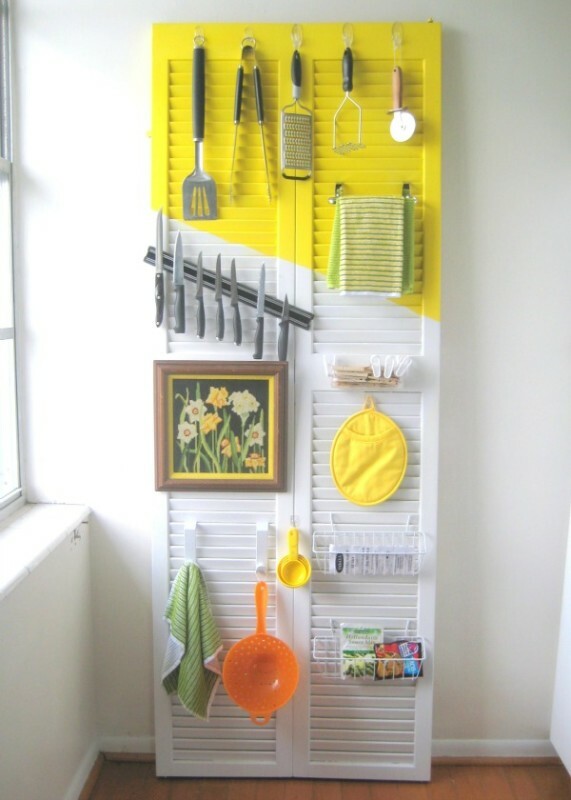 Use the leftover ends of wire shelving from the closet organizer to create your own shelf dividers in the linen closet. 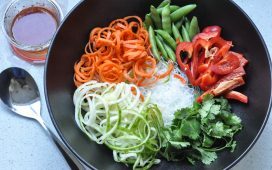 See how we did it! 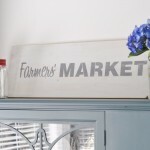 These mason jars, hung on vintage yardsticks, have endless uses! 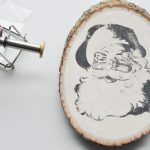 From the bathroom to the craft room to the kitchen – see how to make your own on Upcycled Treasures! 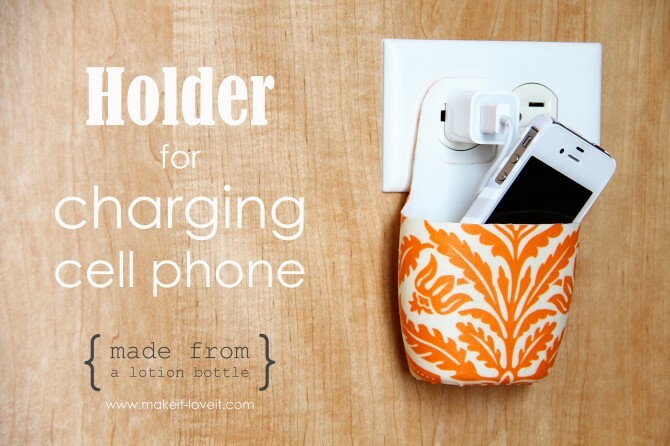 And if you’re tired of having cords and electronics strewn all over the countertop, make one of these charging stations from an old lotion bottle. 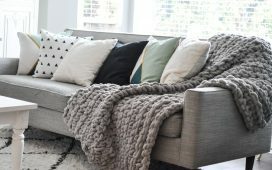 See how Ashley, from Make It and Love it, created this fabulous upcycle! 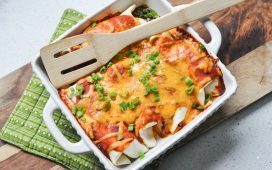 And if you’re hungry for more upcycles – or if there’s a bunch of junk lying about that you KNOW has a hidden purpose — follow my Pinterest Board: Upcycled Organization. Follow Tara @ Suburble’s board Upcycled Organization on Pinterest. 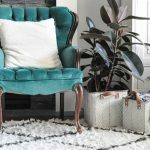 I’ll be continuously pinning to it – this girl loves an upcycle, and I’m always looking for ways to get some organization into this house! Which project do you think you’ll try first? And be honest – are YOU going to buy a tote this month? Thank you so much for making such a rad project! I’ve clipped it on HomeTalk too! Love it! So much good stuff!!! Now I have no more excuses. Thank you?? 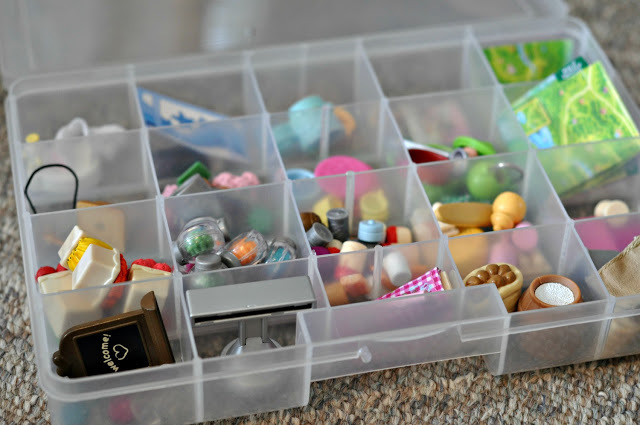 I think I want to go organize something now! 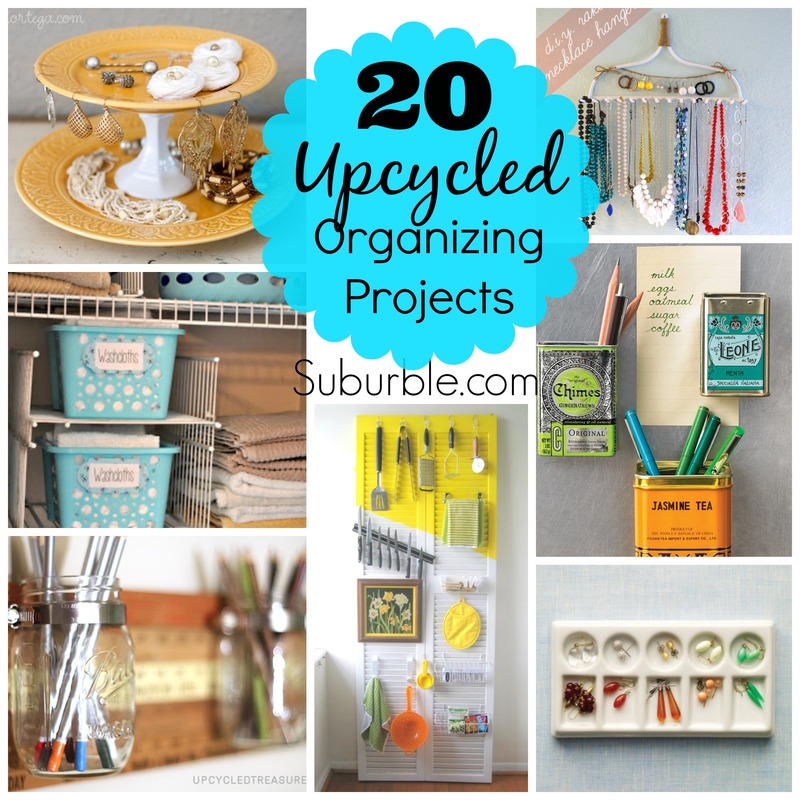 Tara, what a great round up of organization ideas using upcycled objects……Perfect for this time of year! 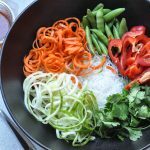 Awesome roundup of ideas, so many doable ideas! 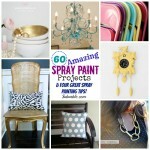 Wonderful Ideas I am definitely going to borrow some of these! I’m so glad you’re inspired! 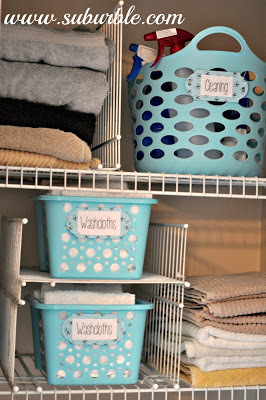 I love quick and easy organizing projects! Thanks for sharing. I will be sharing too! So many great organizing ideas and cute too!! I’m always in awe of what people can create from “trash”. 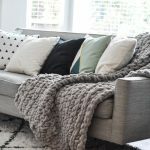 There are a few of these ideas that I’m going to be putting in our house this year. 35000K FFXIV Gil in Shinryu [JP Server] Sold, Customer Left the Review: FFXIV Gil here is cheap and fast.I will definitely recommend this site to my other friends. Thanks so much.